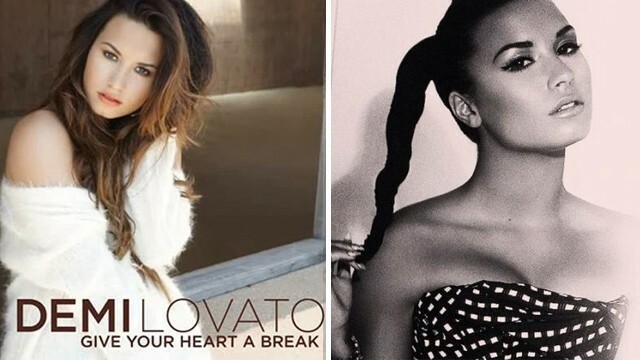 Demi Lovato revealed album art for the next single off her Unbroken album, Give Your Heart A Break. The cover features Demi wearing an off-the-shoulder fuzzy white sweater with untamed hair and peachy lips. Demi looks beautiful on the cover, but we’re also really loving her new Twitter profile pic as well (right). Fierce. Demi just wrapped up her Unbroken tour with her final stop in Puerto Rico. “I NEVER FELL ONCE ON THIS TOUR!!!!!!!! Hahhahahaha” the singer tweeted.